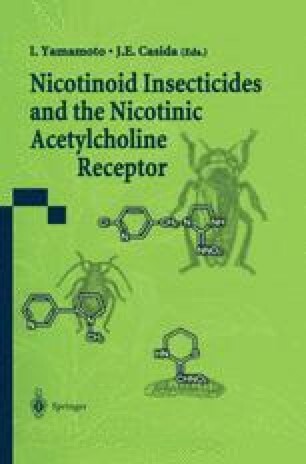 Imidacloprid (Figure 1) is the first active ingredient of the chemical class of nicotinoid insecticides to reach the market. Toxicological information on this class of substances is nearly nonexistent in open literature. Only limited toxicological information on the structurally related compound nitroguanidine is available, and it indicates no critical toxicological properties (GRA & 11986–1990).